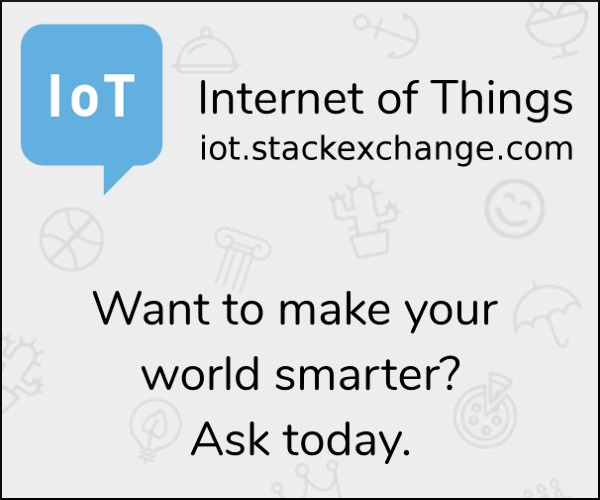 Professionally involved in bringing IoT infrastructures to life. From the first concept to creating a working system that provides the ability to have the IoT devices' capabilities at your fingertips from wherever you are. I'm marveled every day by the complexity we face in connecting every electronic part on this planet and how people go about creating solutions to connect the world one chip at a time. 70 How can I stop Alexa from ordering things if it hears a voice on TV? 32 Can we hide the visitor stats until they're fixed? 29 Is it awkward to call a wound "heavy"? 19 Does the theory that "sincerely" originated from "without wax" hold any merit?